Indian captain Mahendra Singh Dhoni led Chennai Superkings will take on Indian vice-captain Yuvraj Singh led Punjab Kings eleven at MA Chidambaram Stadium in Chennai. Chennai IPL won the last ball thriller against Delhi Daredevils thanks to Gony and Badrinath. Chennai seems to have found an ideal batting lineup in that match after the exit of Hayden and Hussey. Punjab Kings Eleven is in superb form having won the last five matches. Chennai may find it difficult to stop Mohali to cruise to sixth straight victory. Winner of this match is almost assured of a berth in semi-finals of Indian Premier League. Chennai won the first round match against Mohali. Stadium: MA Chidambaram stadium, Chennai. Match timings: 8 PM – 11 PM. Punjab bounced back admirable after the initial losses and won five consecutive matches even after the exit of Brett Lee. It is playing in IPL with a bowling attack comprising of only Indian players. Punjab missed the services of Kumara Sangakkara due to injury. 1. Irfan Pathan: Leading wicket taker and useful batsman. Punjab needs to use him in batting also. 2. Shaun Marsh: This young man lifted the spirit of Punjab with stunning performances in the top order. 3. Yuvraj Singh: Big innings due. Chennai’s international bowlers Muralidharan and Ntini are continuously failing to take wickets despite good bowling. It is depending too much on Manpreet Gony. Dhoni and Raina are failing to convert their good starts to match winning knocks. Balaji form is a good omen for Chennai. 1. Vidyut Sivaramakrishnan: He played scintillating knock against McGrath & Co. Sreesanth needs to be more careful against him. 2. Dhoni: Big innings due. 3. Albie Morkel: Most important player in the Chennai team. He is one of the best all-rounders in IPL along with Shane Watson and Irfan Pathan. Piyush Chawla is the target. Verdict: Punjab has edge over Chennai based on recent form. But Chennai batsmen may try to expose wayward Sreesanth and spinner Piyush Chawla. Match result will depend on who will win these battles. Chennai should not allow Shaun Marsh to explode in the initial overs. What a performance from Rajasthan Royals! Jaipur IPL decimated Hyderabad Deccan Chargers in a one sided encounter at Sawai Mansingh stadium in Jaipur. Yusuf Pathan played a breezing knock (68 runs in 37 deliveries) to take the match away from Hyderabad. Adam Gilchrist played superb knock in the initial overs but Rajasthan bounced back in the late overs thanks to Shane Warne and Trivedi. With this win, Jaipur is almost assured of semi-final berth while Hyderabad is on the edge of elimination. Hyderabad team is playing without any strategy. They take young opener Ravi Teja but sent him at No.6. Is there any planning in their game? It is waste to write about this team. They don’t have desire to win the matches. Toss: Shane Warne won the toss and asked Hyderabad to bat keeping in mind that Rajasthan Royals never lost a match batting second. Hyderabad Deccan Chargers: 140/8 in 20 overs. Rajasthan Royals: 141/2 in 16 overs. Result: Rajasthan Royals won by 8 wickets with 4 overs to spare. Man of the match: Yusuf Pathan. He scored 68 runs in 37 balls with 9 fours and 2 sixers. He also took the wicket of Scott Styris to trigger major collapse. 1. Rajasthan Royals are now at top of the table. They are undefeated in all their home games and in which they batted second. 2. Rajasthan won 6 matches out of 8 they played while Hyderabad lost 6 games out of 8 they played. Interesting statistic. 3. Rajasthan Bowler Trivedi gave just 8 runs in his 3 overs. Verdict: Rajasthan Royals recovered wonderfully after their humiliating loss against Mumbai Indians. Hyderabad may not win many matches with this bowling attack. Anil Ambani should take over this team and inject much needed passion and desire to win matches. Congrats to Rajasthan Royals. i like to put a live score in this IPL blog! hope you enjoy the show! Hyderabad Deccan Chargers will take on Rajasthan Royals at Sawai Man Singh stadium in Jaipur. Hyderabad played wonderfully to defeat Chennai and Adam Gilchrist once again played match winning innings. He is the player to watch out for in this match. Rajasthan Royals exhibited poor performance against Mumbai Indians but they are still strong favourites on home ground. Hyderabad lost previous encounter with Jaipur due to poor captaincy from VVS Laxman (He gave last over to out of form Symonds). Shane Warne has sweet memories of that last match. Herschelle Gibbs needs to play match winning knock along with Adam Gilchrist. Hyderabad should open with Gilchrist-Ravi Teja combination. Deccan Chargers are looking unbeatable on paper but not playing to their full potential. VVS Laxman is still in doubt for this match. Rohit Sharma is consistently playing well and Shane Warne will target this young man. Young fast bowler Vijay Kumar bowled exceptionally well along with RP Singh in the last match. 1. Rohit Sharma: Most consistent player in unpredictable Hyderabad team. 2. 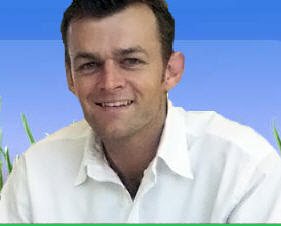 Adam Gilchrist: Man of the match award performance in both Hyderabad wins. 3. Herschelle Gibbs: Don’t underestimate this match winner. Rajasthan Royals: Rajasthan success hinges on how their top order will perform. With Graeme Smith, Yusuf Pathan, Asnodkar and Shane Watson in superb form, Hyderabad bowlers have a difficult task at their hand. They will try to exploit weak Hyderabad bowling on their home turf. England cricketer Mascarenhas may play his first IPL match who is big hitting all-rounder but whom will he replace. Mohammad Kaif is the only under-performer in this energetic squad. 1. Shane Watson: He is in top 10 list in both bowling and batting rankings in IPL 2008. 2. Sohail Tanvir: Best bowling performance in IPL. 3. Asnodkar: Hyderabad needs to quickly remove him who has an average of more than 100 runs in Ranji cricket in this season. 4. Shane Warne: He will try to take crucial wickets of Rohit Sharma, Shahid Afridi and Scott Styris. 1. Shahid Afridi Vs Shane Warne: Can he slam-bang Warne? 1. Rajasthan Royals won all the matches at their home ground. 2. Shane Watson is the number one player in all-rounders list. Verdict: Rajasthan Royals has slight edge but Hyderabad match winners are dangerous in any match. Interesting battle lies ahead. Match result will depend on how Hyderabad bowlers will perform and whom they will pick. Chennai Super kings clinched a last ball thriller against Delhi Daredevils at Feroz Shah Kotla cricket ground in Delhi. Badrinath scored vital single in the last ball to stun home fans. Manpreet Gony is the unlikely hero with the bat by hitting six and four in the last over for Chennai IPL who registered their first win in the last 4 matches. This is the second successive loss for Delhi IPL. Chennai top order which failed in the recent matches played exceptionally well against top quality bowlers like McGrath and Asif. Indian selectors must pick Shikhar Dhawan when they select ODI squad. He is an exceptional talent. The way he builds up innings is a lesson even for experienced cricketers. If nurtured carefully, he will become “Michael Hussey of India”. I can’t find the logic behind Manoj Tiwary selection over Rajat Bhatia. Most of the teams are losing the matches due to selection mistakes and bad captaincy. Chennai won this match just due to good selection policies. They left out ineffective Joginder Sharma and Makhaya Ntini. But Delhi picked ineffective Shoaib Malik. Albie Morkel scored 3 consecutive sixers in the bowling of Virender Sehwag to change match course. Yo Mahesh took two crucial wickets in the penultimate over to turn the match in Delhi’s way but Shoaib Malik bowled carelessly in the last over to gift Chennai crucial win. Toss: Mahendra Singh Dhoni won the toss and elected to bowl first. Delhi Daredevils: 187/5 in 20 overs. Chennai Super Kings: 188/6 in 20 overs. Result: Chennai won by 4 wickets. Man of the match: Mahendra Singh Dhoni??? This is the second Man of the Match award for Dhoni. Gautam Gambhir scored 80 runs in 49 balls. 1. 131 runs fourth wicket partnership of Gautam Gambhir and Shikhar Dhawan. 2. Vidyut Shivaramakrhnan's explosive knock against Mcgrath and Asif. 1. Gautam Gambhir won the orange cap by becoming top scorer in IPL 2008. 2. Virender Sehwag is the second highest run scorer in Indian Premier League. There are 3 Delhi batsmen among top 8 batsmen list. 3. This is the first IPL match whose result was decided in the last ball. 4. I felt happy after seeing Balaji in action after a long time. He took 2 wickets for 35 runs. 5. Mathew Hayden is still in top 10 batsmen list despite playing in 4 matches only. His average is 63 in IPL T20 Matches. Unbelievable. 6. Shane Watson is the best all-rounder in IPL. He finds place in top batsmen and bowlers list. Verdict: Both teams played well but best team won the match. IPL is continuously producing unpredictable results. IPL needs matches like these to get more audience. Chennai at last found an ideal batting lineup at crucial stage of tournament. Chennai won this match as they exploited Delhi part time bowlers (Sehwag and Malik) by milking 30% of runs in their 4 overs. There is no place for part time bowlers like Andrew Symonds, Virender Sehwag, Yuvraj Singh, Joginder Sharma and Shoaib Malik etc. in T20 matches especially in end overs. Batsmen cruelly expose these part time bowlers as it was done by Shahid Afridi (Joginder Sharma), Shane Warne (Symonds) and Manpreet Gony (Shoaib Malik). You need either genuine bowlers like McGrath or real all-rounders like Irfan Pathan and Shane Watson. There is no place for bits and piece cricketers. Have you seen the body language of Glenn McGrath and Shoiab Malik in the last overs of the match? McGrath is all over the park by giving suggestions to young bowlers and saving runs while Malik is casual and looks uninterested in the proceedings of the match. That’s why McGrath expressed his unhappiness publicly over Shoaib Malik attitude after the match. Delhi should not take him into the team for the next match. Hyderabad Deccan chargers defeated Chennai by 7 wickets at MA Chidambaram stadium in Chennai. Hyderabad played perfect match in which they excelled over Chennai in all departments. Pakistan big hitter Shahid Afridi hit 6, 4, 6, 4 in the last 4 balls of 18th over (Joginder Sharma is bowler) to complete the match. This is the second victory for Hyderabad in the Indian Premier League. Adam Gilchrist captained Hyderabad in the absence of VVS Laxman who missed out due to injury. Rohit Sharma became the top scoring batsman in IPL 2008. Adam Gilchrist took the match away from Chennai by hitting quick fire 54 in 36 balls. Scott Styris and ever dependable Rohit Sharma played sensible knocks in the middle overs and helped Hyderabad to register a comfortable victory in a must win match. Hyderabad sent warning signals to opposition by getting its together. I can’t understand why Hyderabad is selecting dummy cricketers like Arjun Yadav and Venugopala Rao. Such bad selection issues will become crucial in tight matches. Chennai stumbled to third successive defeat and is looking completely out of sorts in batting. They can’t win a single match with this top order. Chennai is still struggling to play well after the exit of Hayden, Hussy and Hayden. Chennai management needs to sort out these issues immediately. Toss: Adam Gilchrist won the toss and elected to field. This is a wise decision and batting is their main strength. Chennai IPL: 144/7 in 20 overs. Hyderabad IPL: 148/3 in 18 overs. Result: Hyderabad won by 7 wickets. Man of the match: Adam Gilchrist. Australian legend won the Man of the Match awards in both matches in which Hyderabad won. 1. Anirudha replaced in-form batsman Vidyut Sivaramakrishnan and failed miserably by scoring 1 run in 7 balls. 2. Chennai top order batsman who looked invincible in the initial matches now became its Achilles heel after the exit of Hayden, Hussey. Chennai top order failed miserably in third successive match. Dhoni needs to do something. 3. Suresh Raina and MS Dhoni stabilised Chennai innings in the middle overs but failed to score big runs once again. 4. South African all-rounder Morkel is responsible for decent total with some big hitting in the late overs. 5. Stand-in captain Adam Gilchrist failed to utilise full quota of its strike bowlers, RP Singh and Vijay Kumar who bowled tremendously in the initial spell. RP Singh- 3 overs; 12 runs; 2 wickets and Vijay Kumar – 3 overs; 17 runs; 1 wicket. Gilchrist wasted 2 overs of its strike bowlers in a Twenty20 match. Such bad decisions may alter match course in tight matches. 6. Chennai scored 20 runs off Sanjay Bangar’s last over. Hyderabad needs an intelligent captain. 1. Herschelle Gibbs once again failed but Adam Gilchrist played whirlwind knock to end Chennai hopes. 2. His decimation of Makhaya Ntini is a delight for Hyderabad fans. 3. Rohit Sharma and Scott Styris stabilised innings while Shahid Afridi entertained Chennai viewers in the last over by hitting 2 sixers and 2 fours in the last 4 balls of the innings. Verdict: Hyderabad played according to plan and they cruelly exposed Chennai weaknesses in top order and part time bowler like Joginder. If Hyderabad performs in same manner in the upcoming matches, it is a sure contender for semi-final berth. Hyderabad win is a good sign for IPL and is increasingly becoming complicated to predict semi-finalists. Hyderabad Deccan chargers will play with Chennai Super Kings in a vital encounter at MA Chidambaram stadium in Chennai. This is a must win game for last ranked Deccan Chargers while Chennai will try to cash on opposition’s poor form. But Chennai struggled in the recent matches after the exit of Hayden, Hussey and Oram. Chennai should not underestimate a team who has match winners like Gilchrist, Gibbs and Rohit Sharma. But weak bowling is a big worry for visiting team. If Hyderabad wins the toss; it may elect to field and try to chase the Chennai total. Hyderabad lost previous match against Bangalore as their batsmen failed to hold their nerve at crucial time. They should not repeat similar mistake here. Match timing: From 8 PM onwards. Significance of match: Hyderabad knew it the fact that loss in this match is almost an end to their semi-final hopes. 1. Rohit Sharma who scored 235 runs in six IPL matches and he is in scintillating form. 2. Adam Gilchrist and Gibbs for Hyderabad and Dhoni for Chennai can single handily change match course. 3. Muralidharan: Spin wizard needs to perform well against Hyderabad batting lineup. Hyderabad failed to pick an ideal team even after playing 6 Twenty20 matches. Deccan Chargers are still struggling with selection problems and weak bowling attack. Their big hitters are letting them down with poor batting. Match winners like Gibbs and Shahid Afridi are struggling to reach even double digits. But batsmen like Adam Gilchrist (fastest century in IPL) can win matches on their own. Rohit Sharma is in sensational form and is the only contender from Hyderabad for IPL dream team. Chennai Super Kings seems to have lost tempo after the exit of Jacob Oram, Mathew Hayden and Michael hussy. Their replacements failed to match those legends heroics. But batsmen like Dhoni and Suresh Raina may face no difficulties in facing weak Hyderabad bowling. Sohail Tanvir destroyed Chennai lineup but Hyderabad missed incisive bowlers like him. RP Singh failed to perform like his Indian teammates i.e. Zaheer Khan, Irfan Pathan, Sreesanth, Praveen Kumar and Ishant Sharma. Verdict: Match result will depend on how Hyderabad bowlers will perform in this match. I hope this match will give another surprise result to make IPL more interesting. Hyderabad needs to overcome its current tag “Least passionate team in IPL”. Openers: Adam Gilchrist and D. Ravi Teja. Batsmen: VVS Laxman, Herschelle Gibbs, Rohit Sharma and Scott Styris. All-Rounders: Shahid Afridi and Sanjay Bangar. Bowlers: RP Singh, Pragyan Ojha and Vijay Kumar. Hyderabad captain VVS Laxman needs to take courageous and innovative decisions to propel Hyderabad into Semi-finals of Indian Premier League. Hyderabad has talent at its disposal but missed inspiration and clear direction. Punjab Kings decimated Bangalore IPL in a one sided boring match at Chinnaswamy stadium in Bangalore. Bangalore poor batting line up reached new low levels in this match where extras are the third highest score in their innings. 5 Bangalore batsmen failed to open their account. Punjab bowlers Sreesanth and Pathan terrorised Bangalore batsmen in the initial overs. This is the fifth successive win for Mohali IPL. Toss: Yuvraj Singh won the toss and elected to field first. Bangalore Royal Challengers: 126 all out in 19.2 overs. Punjab Kings eleven: 127/4 in 18.2 overs. IPL Match result: Mohali won by 6 wickets. Man of the Match: S. Sreesanth. Terrific bowling performance from this Kerala cricketer. Keep it up. 1. Irfan Pathan and Zaheer Khan became the joint highest wicket takers in Indian Premier League. 1. There are 5 duck outs in Bangalore innings and only 2 batsmen crossed double digit score. This is a dismal performance by Royal Challengers. 9 Bangalore batsmen scored 16 runs in 29 balls they faced. 2. Sreesanth took 2 wickets in his first over with wonderful deliveries. After Harbhajan episode, he got his act right. 3. India under-19 captain Virat Kohli once again played good knock under stressful conditions. Coached need to guide him carefully. 4. Rahul Dravid played captaincy knock of scoring 66 runs in just 51 balls. It is one of the best innings in the IPL tournament. Dravid is gradually coming into form. 5. Sreesanth and Irfan Pathan terrorised Royal Challengers in the initial overs. Irfan Pathan is the best all rounder in IPL along with Shaun Pollock and Shane Watson. Batsmen are struggling to score even 4 runs per over in his spells. 6. Mohali needs to improve its fielding level and they gave at least 20 extra runs through worst fielding. 7. Misbah-Ul-Haq once again failed at crucial stage. Kallis Runout is another major turning point. 1. Marsh and Sarwan took the match out of Bangalore hands with their cool partnership of 54 runs. 2. Jayawardene and Irfan Pathan completed the formalities. Verdict: Both teams fielded in the worst possible manner by IPL standards. But Punjab won the match due to their all round strength. Bangalore and Hyderabad may become the first teams to exit from semi-final race. Young and vibrant Mohali is a sure contender to win IPL 2008 tournament. Highlight in the recent matches is bowling took centre stage and bowlers are winning man of the match awards. Who will win Indian Premier League title? Indian Premier League teams are exhibiting unpredictable performances in the recent days. No team is looking as hot favourite to win 2008 Indian Premier League. I surprised after seeing the decimation of Chennai Super Kings in Jaipur at the hands of Rajasthan Royals while Mumbai Indians comfortably defeated Delhi Daredevils as Delhi depended too heavily on their top order. Kolkata Knight Riders suffered successive defeats after rousing start in the initial matches. Even though these unpredictable results are good for IPL tournament but team fans are not in a position to digest their unpredictable performances. Bowlers are gradually gaining edge over batsmen and Delhi legend Glenn McGrath is simply a revelation in this tournament. There is visible drop in batting performances of some teams after the exit of foreign players. At present, Rajasthan Royals are consistently winning matches due to collective performances but you need match winners like Adam Gilchrist and Virender Sehwag etc to win in knock out matches. I am eagerly waiting to see how they perform in high voltage matches. Except Deccan Chargers and Bangalore Royals, all teams are looking strong to win the trophy. Mumbai Indians are current underdogs. Players I missed in IPL 2008: Andrew Flintoff and Kevin Pietersen. 1. Shane Warne – superb leader and Jaipur success is a case study for MBA atudents. 2. Rajasthan Royals team – Underdogs surprised analysts with their performances. 3. Australian and New Zealand cricketers: We really missed these stars. Who can forget McCullum and Hussey centuries and Mathew Hayden’s consistency? 4. Adam Gilchrist & Virender Sehwag: Most dangerous cricketers on their day. 5. Shaun Pollock through his all round performance. 6. Delhi top order is simply superb. 7. Rohit Sharma- who has tremendous future. 8. Praveen Kumar and Zaheer Khan – Indian bowling is in safe hands. 9. Young cricketers like Gony, Dinda, Jadeja, Yusuf Pathan, Kohli, Abhishek, Asnodkar, Shukla etc. They played much better than icons like Dravid, Ganguly and Laxman. 10. Wicket keepers like Brendon McCullum, Adam Gilchrist, Mark Boucher, Kumara Sangakkara etc tremendous roles through their batting. 1. Ricky Ponting: Worst performance. 2. Harbhajan Singh: Worst behaviour. 3. VVS Laxman: Worst captain. 4. Worst coach: Lalchand Rajput. 5. Worst team: Hyderabad Deccan Chargers. 6. Worst pitch: Eden Gardens in that match. 7. Worst match: Chennai Super Kings Vs Rajasthan Royals. Verdict: IPL is a resounding success. I am glad to see busy businessmen like Mukhesh Ambani and Vijay Mallya in the stands. Owners like Preity Zinta actively involved in the team preparations. IPL cricket tournament succeeded beyond expectations. If ICC can include this tournament in the future calendar, IPL will reach tremendous heights in popularity. Youth Icon Anil Ambani failed to judge the tremendous opportunity lies in this tournament. He really missed the boat. Why Delhi IPL is most successful? 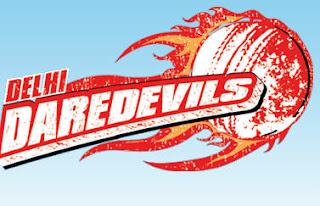 Delhi daredevils reached top of IPL points table with a eight wicket win over Chennai Super kings in Chennai. Virender Sehwag and Gautam Gambhir decimated Chennai bowlers at Chepauk stadium. This is the first loss for Chennai Super Kings in the Indian Premier League. Chennai seems to be losing steam after the exit of Mathew Hayden, Michael Hussey and Jacob Oram. 1. It bought real gems in their respective fields but not bits and pieces (Shoaib Malik is an exception). Glenn McGrath and Mohammad Asif may not bat but can rattle any batsman with their line and length which is essential in any form of cricket. 2. It bought players who will be available for entire season. Chennai missed the services of Australian giants, Mathew Hayden and Michael Hussey at crucial stage. 3. Delhi’s top order (Virender Sehwag, Gautam Gambhir and Shikhar Dhawan) are in scintillating form. Dare Devils are destroying opposition by losing just one or two wickets. Delhi batsmen scored 796 runs in 87 overs. 4. Like Adam Gilchrist, when Virender Sehwag is on song, no bowler in the world can do anything. He is one of the most destructive batsmen in world cricket. He is sending right signals to national selectors through IPL matches. 5. Along with Mathew Hayden, Gautam Gambhir is the best twenty20 batsmen in the world. 6. Shikhar Dhawan is the find of the IPL 2008 along with Abhishek Nayar, Ravinder Jadeja and Asnodkar. Ravi Teja missed this bus due to Hyderabad selection politics. 1. Daniel Vettori went back to New Zealand. It is difficult to replace most successful spinner in the Twenty20 Cricket world cup. 2. When compared to wicketkeepers like MS Dhoni, Adam Gilchrist, Mark Boucher, McCullum and Kumara Sangakkara, Delhi’s Dinesh Karthik is looking weak in batting. 3. Lack of big hitters in the middle and late order will be exploited in the tight matches. Opposition knows that Delhi Daredevils lose steam if they can take top 3 wickets which was exposed by Mohali IPL. Glenn McGrath. He defied age. He silenced critics. He once again proved eternal quotation “Class is permanent and form is temporary”. He is bowling tight spells against top class openers that too in twenty20 cricket matches. He is a real legend. McGrath may have taken another 100 test wickets if he was not retired. Indian cricketers are gradually taking centre stage in the Indian premier League after the exit of might Australians. Wonderful batting from Rohit Sharma (Lone warrior in a poor Hyderabad team) failed to save Hyderabad Deccan Chargers against Mohali IPL. Shane Ware’s Rajasthan Royals crushed Kolkata IPL but Warne-Ganguly episode took centre stage. Sourav Ganguly and Harbhajan Gang should think that Cricket is greater than any cricketer. Forget about spirit of the game, Ganguly scored a wonderful and fighting half century but team collapsed in the team. Verdict: No team seems to be favourite to win IPL. 1. Rajasthan Royals bet on young players and their strategy paid rich dividends. Kudos for Shane Warne for selecting young Indian cricketers over his Hampshire teammate Mascarenhas. IPL needs captains and coaches like Shane Warne. He picked Asnodkar as opener against a tough opposition like Kolkata. 1. Why Hyderabad is selecting Arjun Yadav and Venugopala Rao ahead of dynamic young player Ravi Teja. I am getting headache by thinking about Hyderabad team selection. Robin Singh is the worst coach and VVS Laxman is the worst captain in IPL. 2. Why Bangalore is leaving Misbah-Ul-Haq on the bench? Bangalore needs Robin Uthappa as icon but not Rahul Dravid. 1. IPL authorities need to change “4 foreign player rule” to raise the quality of matches. Teams should need 5-6 international players for high quality games. 2. ICC should include IPL in their calendar otherwise we will see 10-15 retirement announcements from International players especially from England and New Zealand. 3. There are very good players in ICL also. ICC should lift ban on these players. 1. “Indian cricket God” Sachin Tendulkar will play in Indian Premier League from Sunday onwards. 2. IPL authorities still undecided over Shoaib Akthar ban. Pressure from Kolkata Knight Riders. 3. Mohammad Yusuf will play for England county Lancashire. No IPL team wants him. What a pity for a legend like Yusuf! Captains played a very crucial role in changing the fortunes of their IPL teams. Captains like Shane Warne and Dhoni inspired their teams with their leadership qualities while Dravid and Laxman buckled under pressure with poor batting and unimaginative captaincy. Unlike Dravid, Laxman at least sacrificed money and iconic status. 1. Shane Warne: He is the coach, captain, magician, God, motivator and saviour for underdogs Jaipur. He inspired young Jaipur team to sensational victories. 2. MS Dhoni: Ice Man Dhoni showed his immense potential against Bangalore with his hard hitting and cool captaincy. Indian cricket is in the safe hands of this “Ice Man”. We will know his real potential in the coming matches where Chennai will miss the services of Mathew Hayden, Michael Hussey and Jacob Oram. Can he inspire his team like Warne? 3. Virender Sehwag: One superb inning against Hyderabad and nothing else. 4. Yuvraj Singh: He is playing consistently well in all the Mohali IPL matches. But team lost some matches due to bad selection and unsettled batting order. Indian vice-captain need to prove his captaincy skills. 5. Sourav Ganguly: He is an inspirational leader but poor batsman. Kolkata fans love the passionate combination of Sourav-Shahrukh but Ganguly needs to score runs. 6. Rahul Dravid: Why is he playing in this tournament? What can he do in Twenty20 games? He should sit at home and watch matches. Poor leader but good man. 7. VVS Laxman: You should pick your best players to win tight Twenty20 games. You can’t bat; you can’t see potential in young men; you can’t take bold innovate decisions; you can’t field; you can’t say no “Recommendation candidates”. Critics at last found answers for eternal questions like why he wasn’t picked by one day selectors. 8. Sachin/Harbhajan/Pollock: Sachin hides injuries for money/advertisements. Harbhajan slaps opposition players. Pollock is waging lone battle. How can you expect match winning performances from Mumbai IPL team? Cool captain: MS Dhoni. Chennai won two tight matches against Mumbai and Bangalore under cool Dhoni’s captaincy. Worst captains: Harbhajan Singh and VVS Laxman. Worst decision: Laxman gave last over to Andrew Symonds against Rajasthan Royals. Best moment: Shane Warne hit 2 sixers and 1 four in the last over to destroy Hyderabad hopes. Verdict: Why can’t India able to produce great leaders like Australia? Sachin, Dravid and Laxman are good batsmen but poor captains. Ganguly and Dhoni are the only world class captaincy materials from India. Anil Kumble is an intelligent captain. IPL T20.com, official website of Indian Premier League announced subscription plans to watch live streaming of IPL Twenty20 matches on the web. They live streamed IPL matches for free in the initial days but now only subscribers can watch T20 matches on the web. 1. 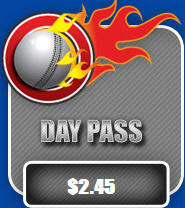 One day pass: $ 2.45. 2. Entire IPL tournament: $ 36.97. 3. One year Pass: $ 46.83. Subscribers can watch live streaming of matches, Video highlights, access to archives of IPL videos and replays of matches in the selected subscription period. Click here to know more details on subscription plans to watch IPL twenty20 matches on the web. Note: Live streaming of IPL cricket matches will not be available for citizens residing in USA, UK, South Africa, Zimbabwe and West Indies etc. IPLT20.com lost many visitors after it stopped live streaming of IPL matches. Subscriptions plans may not work in countries like India and Pakisthan where broadband penetration is poor. Kolkata Knight Riders will have better chances with their bowling as Pakistani fast bowler has been cleared to play in the IPL for them. Shah Rukh had requested Akhtar to apolgise to his board for making critical comments against his board. But the board went ahead and banned the player. Shaoib went on appeal and finally two days back his ban was suspended and the player was given permission to play for his team in the IPL - the Kolkata Knight Riders. Akhtar and Ishant Sharma should make a deadly pair. Here’s wishing them all the best in the coming matches.